Bowman Chilled Stores in Spalding is a family run business which has been established for over 50 years. Over the years Mr & Mrs Bowman had a strong influence in large scale horticulture ranging from daffodils and vegetables to cereals. 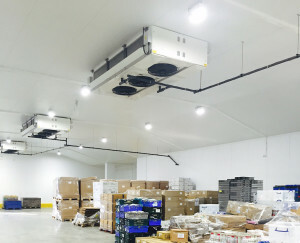 Mr Bowman decided to stop production and to convert existing buildings to refrigerated storage. This included the licence to store meat, fish and dairy produce. He decided to refurbish to industry leading standards to provide excellent services to his customers. The short lifespan of the existing 100 Metal Halide fittings were costing £1.200 a year to maintain and led to reduced light levels and production stoppages when light servicing and replacement were taking place. Pulsar’s maintenance free LED lighting upgrade eradicated all of these issues and their associated costs. 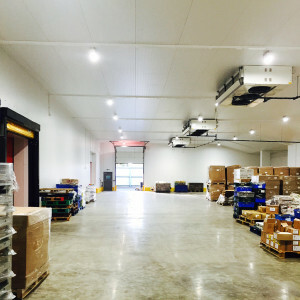 After visiting the site and preparing extensive light calculations, Pulsar Light created a scheme with the UniBay130 that dramatically reduced the running cost of the chilled storage units, and significantly improving on the existing light levels. The final scheme consisted of 104 x UniBay130W fittings with 80 CRI at 5000K including G90 glare control optics. 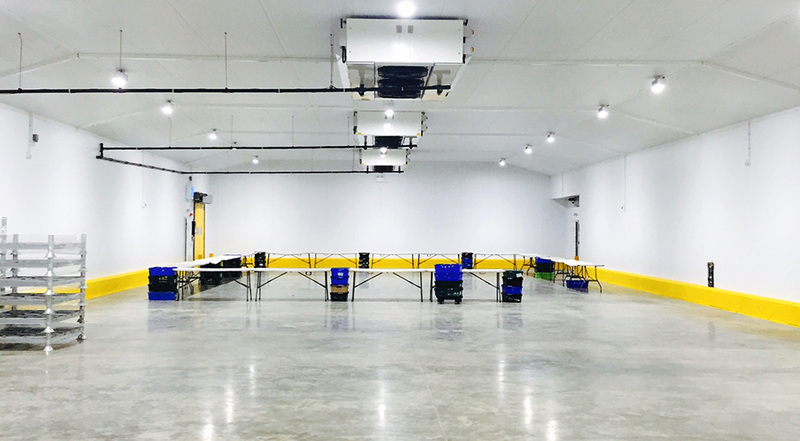 Our UniBay130 has multiple fixing options; Bowman’s chose our low profile bracket (F003), enabling them to fit all UniBay fittings flush to the ceiling, allowing more space for fork lift trucks as well as creating a more even light distribution. 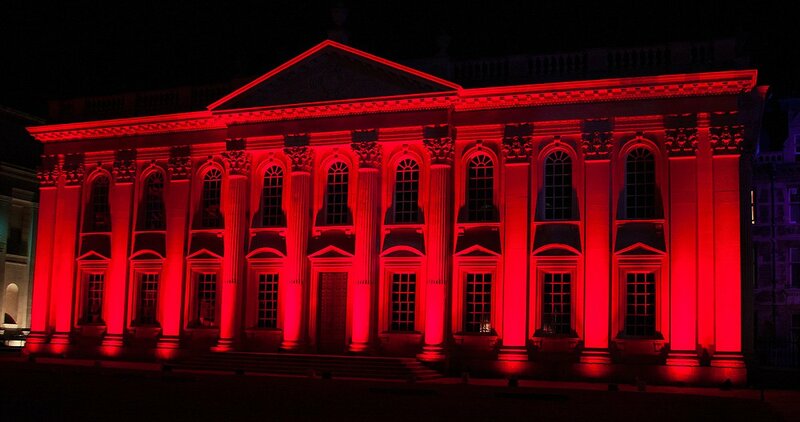 Pulsar’s lights reduced energy consumption by 70% and delivered a saving of £29,757 per year. 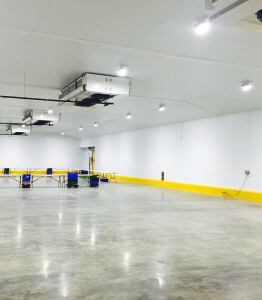 In addition to paying less in electric bills, the improved light level readings were measured at over 500 Lux, creating a superb working environment, as Quality of light is a critical in storage areas dealing with fresh produce. Asked why the they chose Pulsar; Bowman stated they had been contacted by many suppliers of LED lighting. They chose Pulsar because of the superior product and greater range of options. They also preferred Pulsar’s approach, which respected their time scale and we listened to their requirements. “We couldn’t have been happier with the final outcome which exceeded our expectations”.